Almost everything you need to know about Leap Year is in the trailer. Why do you need to see the movie? Because you want to know who the plucky girl ends up with (as if you couldn’t guess), since that’s the only aspect of the story that the trailer doesn’t reveal. It ought to come with a spoiler warning (this review does). Then again, you don’t see a movie like this to find out what happens. Of course the two characters on the movie poster end up together—that’s why they’re on the poster. 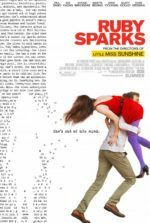 You sit through this movie because you enjoy romantic comedies and the warm feelings they give you. 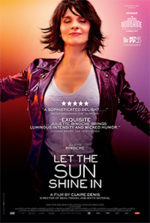 This one is full of warm feelings and laughter and attractive stars doing endearing-if-predictable things. 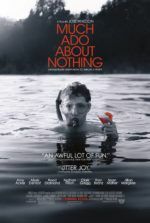 Directed by Anand Tucker (Shopgirl) and written by husband and wife screenwriting team Deborah Kaplan and Harry Elfont (Can’t Hardly Wait), the movie suspiciously resembles the 1945 British romance I Know Where I’m Going! by filmmakers Michael Powell and Emeric Pressburger. The two plots are grossly similar, save for a shift from Scotland in the earlier film to Ireland in the new one. In Powell and Pressburger’s picture, a snooty woman (Wendy Hiller) thinks she’s in love with the money of a wealthy Scottish Lord and plans to get hitched, but she’s forced to wait on the mainland for the windy waters to settle before she can travel by boat to be married on his isle. While waiting, she meets a rugged Scotsman (Roger Livesey) and finds herself falling in love with him; eventually, she drops her gold-digger plot and chooses the man she actually loves. Why Powell and Pressburger weren’t mentioned in the credits of Leap Year is troublesome. 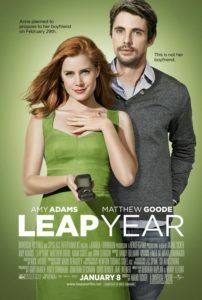 Leap Year plays out complete with all the expected rom-com antics, taking us nowhere we haven’t been before and enjoyed a lot more. But the movie is harmless, more so than others of its kind with the PG-rating. Because the result is so incredibly conventional, there’s not much to savor here beyond the actors. The ever-cute Adams plays her role as if she’s never lived a day in her life, an acting niche she’s more than explored already (see Enchanted or Miss Pettigrew Lives for Day). Goode makes a likable beau; his Irish charm and charming good looks are certainly charming. And Scott’s character Jeremy is so thinly drawn that we don’t even mind when Anna chooses Declan over him—whoops, did I spoil that for you? If these few bits of acting talent are enough to save the movie for you, by all means, see it. The rest of us will be waiting for something more inventive from the genre.